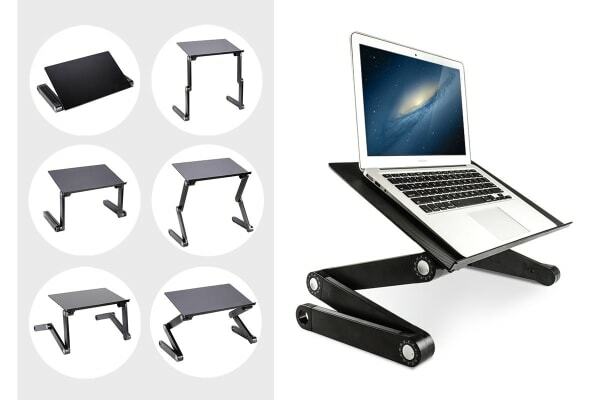 Tidy your desk and get your laptop or tablet to the correct height. Carry along or store away with ease thanks to the lightweight, foldable design. 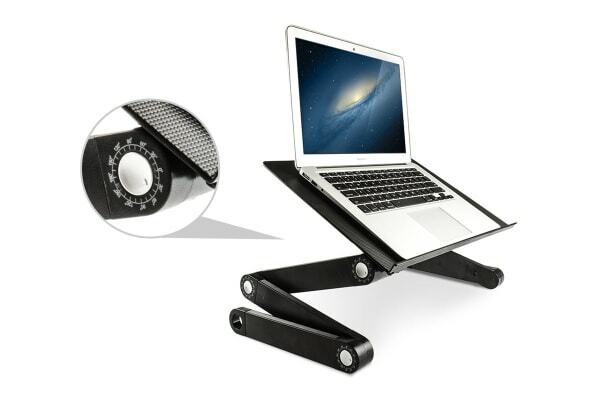 Elevate your laptop, tablet, book, plate and more. 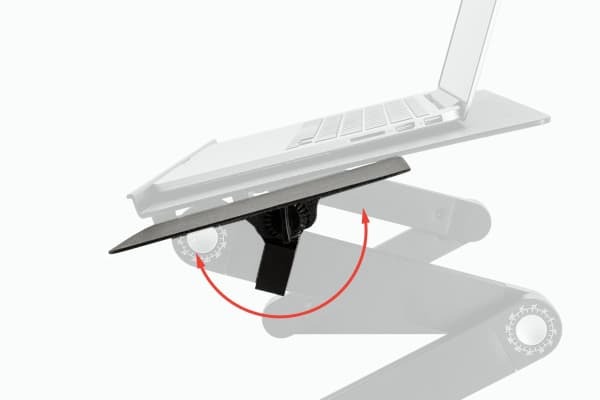 The Kogan Adjustable Laptop and Tablet Stand, enables you to prop your laptop, tablet, book and more at the perfect height. With an ability to rotate by 360-degrees, its flexible arms can easily be adjusted to a height and angle that works best for you. A lightweight and foldable design makes it easy to pack away or carry along with you where ever you wish.